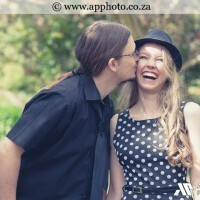 The waking up early on a Sunday for Deon & Martina’s engagement shoot was totally worth it! We drove to Kirstenbosch National Botanical Garden where we were greeted by the beautiful nature life that our country has to offer. Looking forward to photographing their wedding at the end of the year!